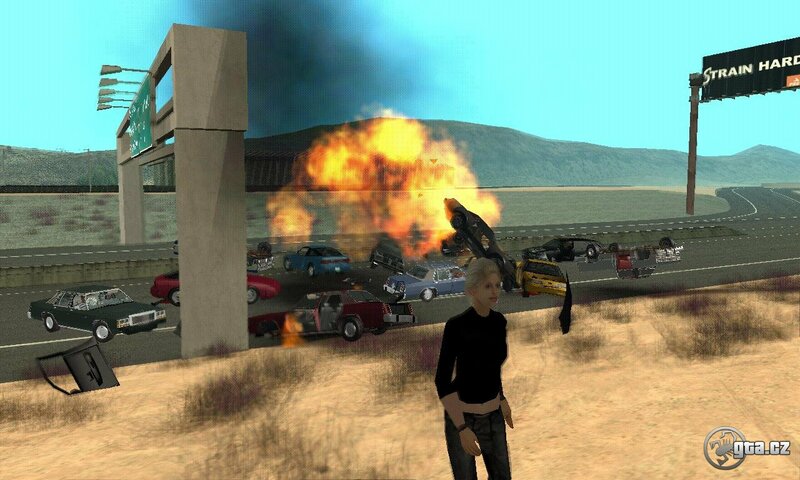 When the GTA 3 came out, it was a low point for whole Grand Theft Auto series. The game remade into 3D worked really well but that was about all that was new. There was a lot more new stuff in GTA: Vice City compared to GTA 3, like the choppers, motorcycles, engine options, and lots of other things. - Again a better and upgraded engine, and now there are also different weather effects: the hot, tingling air (that players might think is a mistake in the graphics :o), during the rain and the storm, the view looks like a scratched noir-film. When you have a better computer, motions don’t really blur for you. When it does blur, It is nothing more than a soft smear. You can recognize it from NFS: U, or even from GTA 3, where it was possible to switch it on in the menu of Trails. - Much larger game world. GTA: San Andreas contains three cities as big as was the one in Vice City + dead areas between towns in the form of different “Fork Stages” :o). - There is also some kind of a RPG system. You can train stamina and muscles, but pay attention to your weight. Although you can increase your health by some caloric bomb in any kind of fast food, you’ll also get excess fat that you must work off in a gym. - Special battle movements. No, don’t be afraid, GTA doesn’t turn into Tekken, but you can learn martial arts from a trainer in a gym. You can learn how to get rid of enemies from other gangs right away. The special move is always activated by the same key shortcut, but it depends on the actual opponent’s position. When the opponent is lying, a move will be used that will not be used when he is standing. - Other means of transportation are available. Now you can ride a bike and fly in an air-fighter. You can even use a harvester in the country. - There is a bit more story. You played as a no name guy in GTA 3, in Vice City, as the sympathetic Tommy Vercett, and in San Andreas, you are now Carl “CJ” Johnson and the entire community that you can enjoy. This is not only because of the better script but also due to writers’ accuracy in regards to African-American culture. - Lawmen also have motorcycles and they aren’t afraid to use them. - CJ can climb over different obstacles and fences.